Vladimir Putin promised to deal with Mongolian hydropower ? This was allegedly promised by President of the Russian Federation during Media Forum United National Front in St. Petersburg reports Buriatia Business Portal . On April 25-28, St. Petersburg hosted the second Media Forum of the All-Russian People’s Front. At the forum held a plenary session with Vladimir Putin, during which the journalists asked the head of state a number of issues.At the end of the plenary session, during communication with the president, editor in chief of Buriatia Republic news agency UlanMedia Tatiana Bazhenova drew attention to the situation with the construction of Mongolian hydropower plant "Shuren" on the main tributary of the lake Baikal – the Selenga river. – A serious question. 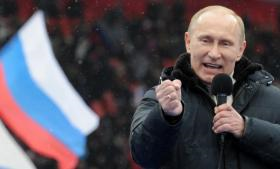 I’ll handle it, we will make inquiries, – said Vladimir Putin. This was reported only by news agencies in Buriatia 10 days after the Forum. The pledge made by the President was not confirmed by his web-site or press-service. Press-release on meeting President Elbegdorj of Mongolia on May 7 contains no mentioning of Mongolia hydropower and Lake Baikal at all. However at the same time in a meeting between Russian Minister of Natural Resources S.Donskoy and Mongolian Minister of Foreign Affairs L.Purevsuren this topic was among the first ones discussed. 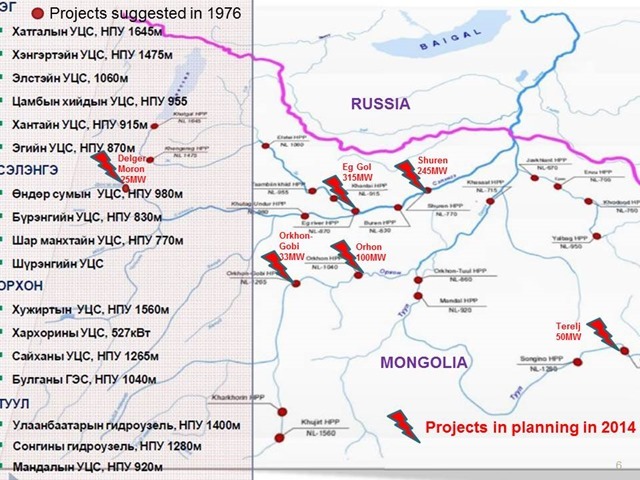 Donskoy insisted that a bilateral expert commission to conduct environmental impact assessment of Mongolian hydropower plans to be established as soon as possible. Mongolia plans to develop 6 large dams in Selenge basin with feasibility studies for two of them supported by the World Bank. 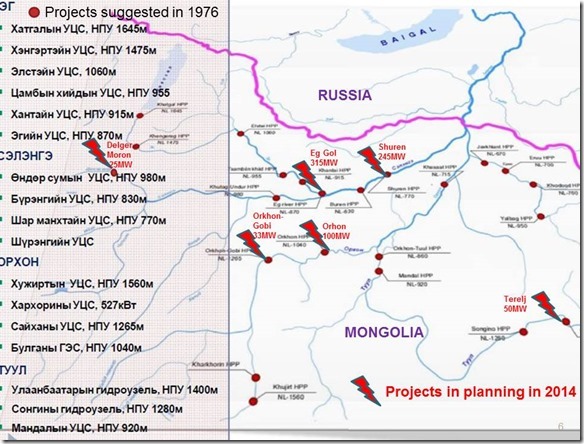 Together these reservoirs may significantly alter water flow regime and sediment transport in Selenge river and therefore affect Lake Baikal World Heritage Site.